I have a VPN to connect to and have the appropriate .pem certificates, which I have attempted to install via the file system. 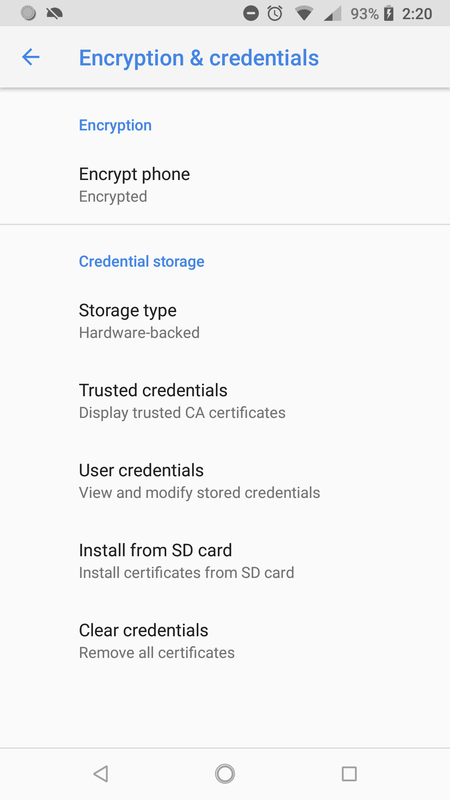 My phone reports that the certificates are installed successfully, but I encounter an issue. 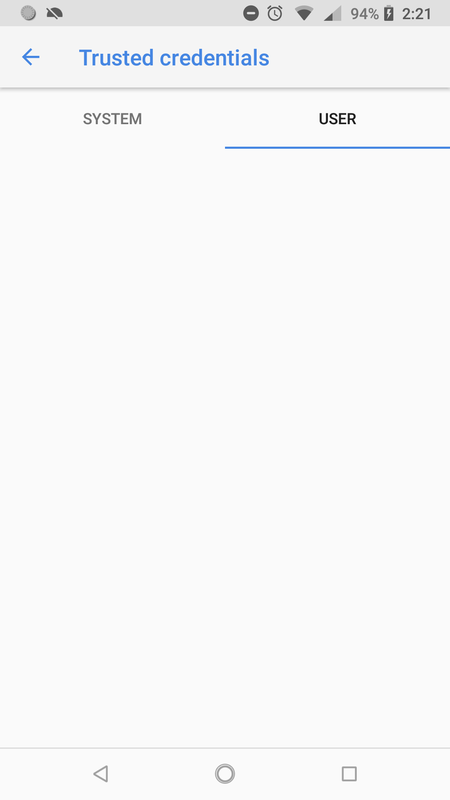 When I click on "Trusted Credentials", there are no credentials listed under the "USER" category. 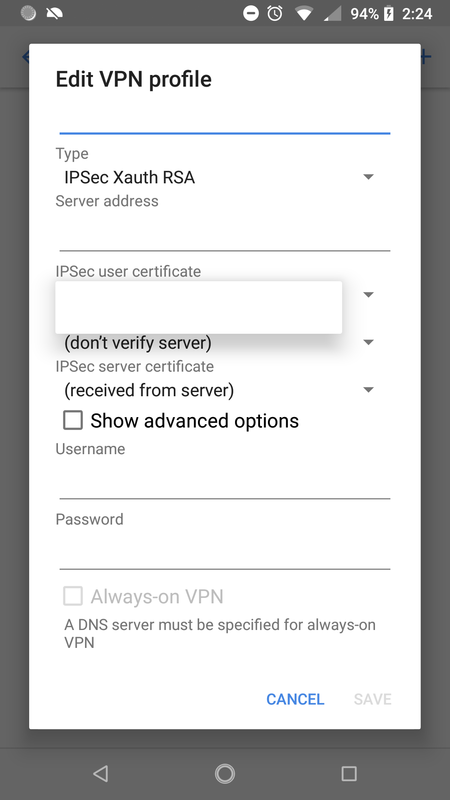 I think this matters to me, because when I go to add IPSec RSA VPN settings, I am unable to select an "IPSec user certificate". Is this a bug? What might I be missing? Are .pem files invalid for this use?